Firstly, I would like to say that this month was my best month of Yoga. I really enjoyed it a lot. Especially on the 21st June, world yoga day. I did yoga 3 times to commemorate that day. Yoga helps me to mange my time. I realize that you have to program and keep your time everyday in a planned sequence. I noticed my body is getting fit. My mind is learning to relax and stay focused. Emotionally, I am happy all the time. I’m not embarrassed about doing yoga anytime, even during exercise time in front of many people. In my daily life I am incorporating yoga and I’m managing to do it every day at a certain time. I’m getting so used to it that if I don’t do it at that time I don’t feel comfortable. Some experiences I get from the yogic lifestyle practices like eating mindfully are especially good. I take time to eat my food. I don’t just eat anytime. I eat when I finish my practice everyday. In terms of listening, yoga helped me improve my concentration and I listen to each and every thing carefully. Yoga has taught me also to accept myself as I am and now I have time to make my future plans. Before I was just thinking backwards in life. My mind was always thinking about the past. Now I don’t worry anymore about what has happened, I’m busy thinking of the way forwards. Yoga practice has managed to remove all the dirty thoughts which my mind was so full of. Now my mind is always clear and thinks positive things. I’m also busy with my studies here (engineering) which needs a lot of concentration and effort. Through Yoga my mind is always clear and I don’t have to stress about a lot of stuff, it is easier to focus on my studies. So this yoga is really helping me a lot. My focus is very good and I’m always on time. All I can say is yoga is very good in life. It is really changing my life. – Jake, Brandvlei Maximum. In the beginning I was not sure about what I was doing but as time went on I noticed a lot of changes with everything. things have changed. I used to be tired all the time, just wanting to sleep. I used to get angry a lot, and was always in pain. I’m not that person anymore because of yoga. Yoga is helping me in different ways. I shows me the way I must take to deal everything that happens to me while being incarcerated. Now my mind is always free to think and my body is always fresh. Yoga make me realise that there is nothing you cant handle when you are practicing regularly because yoga makes you feel cool and become positive about everything. My body is very cool and under control. Everything that I’m doing is going just perfectly. I always feel good, my thoughts are good. I always follow my gifts and my heart. Even if i feel something strange, I go to my time table of yoga and it sorts it out very quickly. Wow, what can I say me and yoga we are big friends and it makes me happy in different ways. This experience is huge and I changed a lot of things that I used to do before I came to yoga lifestyle. 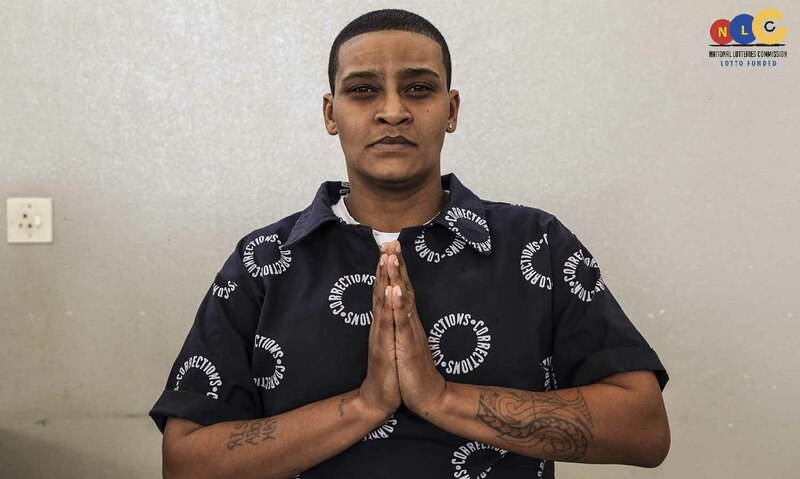 I was non believer, I just ate and slept and I would argue with my fellow inmates all the time giving people pep talks. I had a bad attitude with other inmates. I’m not that person anymore. Yoga has helped me to take responsibility for my own life. Everything I’m doing is positive now. All I can say is that you guys for the opportunity. 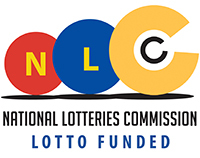 – Siphiwe, Brandvlei Max. 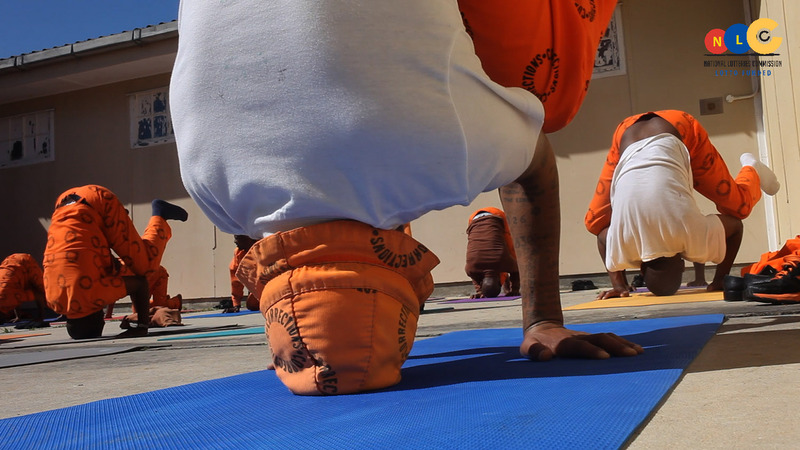 I just want to say yoga is magnificently good for every Human being, especially for those incarcerated. Yoga is very helpful for the emotions, body , thoughts and it can easily set you free from stress. In any kind of situation yoga gives peace and harmony. 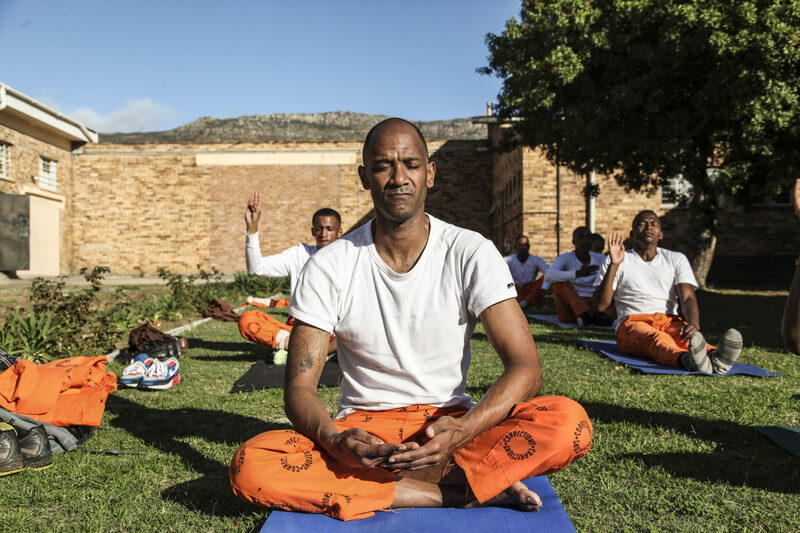 Every inmate that practices yoga is destined for greatness, and for the greatness that is in yoga: Keep on practicing and please encourage others to join the project because it can be the chance for you to change another persons life. I love practicing yoga. I am grateful for yoga. Yoga is my brother. I take care of him and he takes care of me. – Patrick, Brandvlei Maximum. 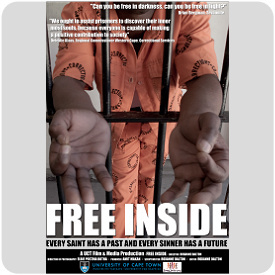 ← Prison Freedom Project receives a boost!